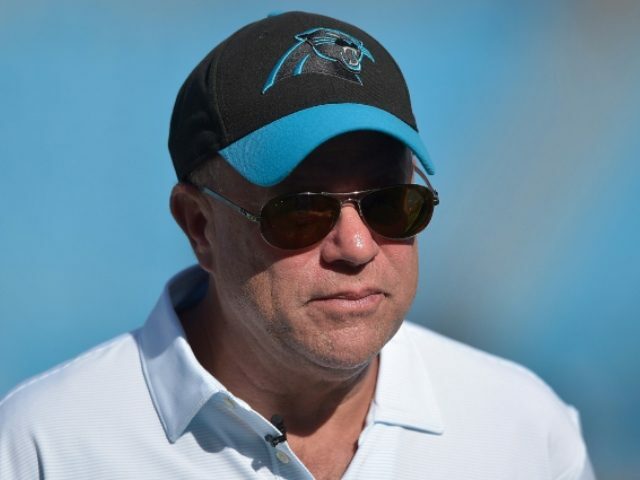 Dave Tepper has not been an NFL owner for a very long time. However, he’s wasted no time letting everyone know where he comes down on the issue of NFL anthem protests. NFL players are the ‘most patriotic people’ in the country — with substantial charitable contributions to their local communities, Tepper said in an interview on CNBC. Tepper did not mention Trump by name but at one point in the interview referred to the red-headed man in Washington. This is hardly Tepper’s first foray into politics. Just prior to the 2016 election, the founder of Appaloosa Management blasted both Hillary Clinton and then-candidate Trump. “You have one person with questionable judgment and the other person may be demented, narcissistic and a scumbag. Not saying which one’s which. You can make your own decision on that,” Tepper explained in October 2016. The protest movement launched by former 49er Colin Kapernick, is entering its third year. Kaepernick filed a collusion grievance against the NFL earlier this year alleging that the league’s owners had conspired under pressure from President Trump, to keep him out of the league. The former 49er’s legal team won their summary judgment case against the league last week, meaning that the case can now proceed to the trial phase. The NFL changed their anthem policy in May, requiring all players on the field to stand and show respect during the playing of the Star-Spangled Banner. However, the NFLPA filed a grievance against the league, accusing the NFL of not including them in the decision making process. The NFL then suspended the enforcement provisions of the new rule, until the two sides could come to a compromise on a new rule.